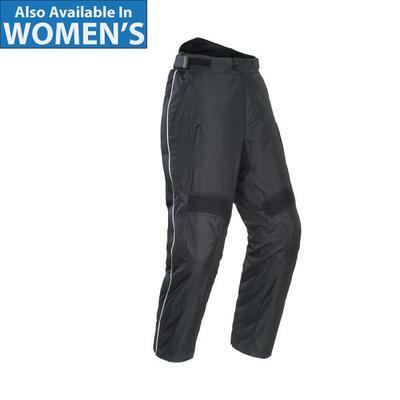 Designed to be worn over casual street clothing, the Tourmaster Overpant offers the best in abrasion resistance by combining 600 denier Carbolex with 1680 denier ballistic knee panels. A combination of Tour Master’s Rainguard waterproof, breathable barrier and waterproof side-entry ESO leg zippers keep the wearer dry. A plethora of stretch panels and Tourmaster’s Three Position Knee Armor Alignment System keep the pant comfortable for all shapes and sizes.